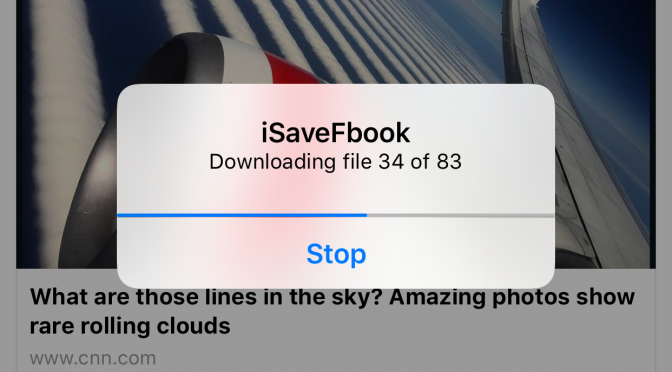 LONDON, May-26-2017 — /EuropaWire/ — MaximumSoft Corp. released new apps – iSaveFbook and iSaveTweets. They help to make copies of favorite Facebook posts and Twitter tweets and eliminate a need to search for posts and tweets that users saw and liked before. Saved posts and tweets will be stored on user device, and can be accessed at anytime. Stop searching for posts and tweets that you liked before, save them. Individuals can save posts and tweets from their family members and friends. Journalists will always have copies of breaking news and trending tweets. Businesses can store their Facebook and Twitter pages on employees mobile devices to share with clients. Saved posts and tweets can be shared via email, other apps, or printed. iSaveFbook and iSaveTweets can even been used as everyday Facebook or Twitter apps, respectively. The apps run on iOS and Android devices, and are available for free in Apple App Store and Google Play Store. iSaveFbook and iSaveTweets apps support 6 languages: English, Dutch, French, German, Russian and Spanish. More languages will be supported later this year. Babelfeed.com has developed an innovative approach where users can read news, blogs and research articles from various sources. RSS feeds are taken from all over the World Wide Web translated and amalgamated into a mega feed that can be browsed both by region and by category. Articles can be filtered to include only the selected region and category (along with those below it) when you go for a specific country or topic. And zooming in and out of categories is easily done – you will be able to contract and expand the number of articles, which are displayed effortlessly. The feeds are machine-translated into English – whenever you follow the Link of a foreign language article a translator window will pop up Automatically, and the article will be translated into English for reading Convenience. Our mission is to create a space in which global dialog is made possible Irrespective of the actual language that people speak. Babelfeed intends to take cultural barriers down, and facilitate communication among different nations. Lovetropolis.com, an online dating service and subsidiary of The Lombard Company, Inc., is promoting a new option they have added for Latin Dating. They made the announcement this morning from their Bowie, Maryland headquarters to introduce the new service as part of the online dating service they recently started in February 2009. In addition to Latin Dating, Lovetropolis.com is also adding Black Dating, Asian Dating, Jewish Dating and Christian Dating. Each of these groups will be able to take advantage of the social networking platform Lovetropolis.com put in place back in February which offers users live chat, webcam dating, blogging, internal secure email, video upload capability from YouTube, and a selection of applications that can help users improve the look of their profile. All five ethnic and religious groups are now available with Lovetropolis.com, and they are building their membership with a number of incentives and referral programs. Foremost among these is a “Free Membership for Life” program they have initiated where you pay a one-time profile approval and activation fee of $17.95 and then no monthly or annual fees for the life of the account. A Bowie, Maryland online dating service owned by The Lombard Company, Inc. issued a statement today inviting African Americans to try their new Black Dating Service. Lovetropolis.com, an online dating service that was launched in February 2009, is rolling out Black Dating along with four other ethnic and religion targeted dating services. Lovetropolis.com would like to point out that Black Dating is not limited to strictly African Americans, but they are issuing an open invitation to all members of the black community to come and visit their new service. They are even offering free lifetime membership for anyone who signs up now and pays the $17.95 profile approval and activation fee. As a dating service still within its first year, Lovetropolis.com is offering a number of incentives to all in order to build their customer base. The other four ethnic and religion targeted dating services offered by Lovetropolis.com are Latin Dating, Asian Dating, Jewish Dating, and Christian Dating. Their social networking tools include webcam dating, instant messages, internal secure emails, Favorites menus, YouTube upload capability, and a variety of apps and custom features to improve the look of a profile page. Lovetropolis.com and Couturemoda.com announced they are joining forces in an inventive partnership to market online dating services and contemporary fashion. The venture will make available Lovetropolis.com’s full range of dating and social networking services to Couturemoda.com’s savvy shoppers. The campaign will focus on looking your best to feel your best and put your best effort toward your love life. Couturemoda will be able to market its swank designer clothing to Lovetropolis.com’s upwardly mobile user base of over five million. The co-branding campaign will offer the most current trends in fashion and the most compelling range of online dating services in the marketplace. Lovetropolis.com will feature Couturemoda clothing in multiple ways, including on a special content page, and drive traffic to the Couturemoda website. Couturemoda will promote the dating website to its single clientele and develop best deals and special packages to be extended only to Lovetropolis.com’s users. To celebrate the campaign’s launch, Lovetropolis.com members are being offered a special discount when they shop Couturemoda.com. Responding to market research and industry needs, Lovetropolis.com, a Bowie, Maryland-based online dating service owned by The Lombard Company, Inc., introduced a new Christian Dating service today as part of their push to attain a larger market share of the lucrative online dating niche market. They are hoping to match the success of their general dating service which was launched in February, 2009, and has already become a major player in the online dating business. Specific niches in the online dating industry have become necessary with the explosion of multiple sites going up in recent years. The success of companies like Match.com and EHarmony has paved the way for others who want a piece of this lucrative pool. Lovetropolis.com though is claiming to have distinct advantages over the others that set them apart. Lovetropolis.com, a Bowie Maryland company owned by The Lombard Company, Inc., is offering a free lifetime membership for their dating service. For a limited time, there will be a one-time $17.95 profile approval and activation fee; but after that, there are no monthly or annual user fees of any kind. They are claiming they are the only full-service major market dating site making an offer of this kind in their industry. Lovetropolis.com offers ethnic dating options for Christian, Jewish, Asian, Black and Latin patrons. They also have a general pool and provide dating “tips” from a number of experts including Amy Waterman, Christian Carter, Scot McKay and Emily McKay. They add in an online magazine, daily horoscopes and lovescopes, member blogs and a feature called Chef Jay’s Romantic Recipes. The additions set it apart from other paid monthly membership sites that offer only profiles and messaging. LoveSilverDoor is now the SilverDoor page on Twitter, the micro blogging site taking the world by storm. Twitter was formed in San Francisco in March 2006 and since then has grown into a real-time short messaging service that works over multiple networks and devices. Silverdoor sees Twitter as the ideal way of connecting with potential clients to quickly inform them of any company news or new promotions, such as the offer of complimentary parking, broadband and a welcome pack on arrival including a bottle of wine which is available through the Vizion Apartments, one of Silverdoor’s serviced apartments in Milton Keynes. Other serviced apartments which have already received a LoveSilverDoor tweet include the Buxton Street Apartment in Newcastle and the Keel Wharf Apartments in Liverpool. This was to promote that both of them are offering complimentary coffee all day and a drinks reception four evenings per week. Discovery Dock Apartments and Chichester Street Apartments in London, with their offer of complimentary gym and pool access are also amongst the first announcements talked about on Twitter, however Silverdoor is looking to fully embrace the speed and ease with which Twitter allows companies to provide information to their customers and clients in real time. “It’s an easy way to give clients a quick reminder of what we have on offer and it’s good to embrace modern communication methods”, said Chris Gee, Sales Director at SilverDoor. SilverDoor international serviced apartments was incorporated as a limited company in March 2000 under its original name of Hotdigs. At the beginning of January 2006 the company changed its name to SilverDoor. The company was formed and continues to be led by managing director Marcus Angell. SilverDoor boasts an impressive client portfolio which includes many FTSE 100 companies such as Cadbury, MAN Group PLC, ICAP and Serco Group as well as relocation and hotel booking agents. SilverDoor offers serviced apartments in over 170 locations globally such as London, Paris, New York, Abu Dhabi and Toyko. SilverDoor has also just added to its portfolio with additional new Farnborough serviced apartments and a selection of serviced apartments in Basingstoke as well as new serviced apartments in Maidenhead. With Lovetropolis.com’s new pricing strategy, millions more singles will actually be able to afford to find love online and enjoy the inventive blend of technology that can only be found on Lovetropolis.com. After members have paid the one-time profile approval fee of less than twenty dollars, they will pay nothing again…ever. Current members simply upgrade to the Lifetime Membership from their Lovetropolis.com online account at http://www.lovetropolis.com/. And singles new to Lovetropolis.com can subscribe as lifetime members by visiting the site’s home page. According to Shandale Tucker, another operations executive at Lovetropolis.com, the Lifetime Membership pricing limited time offer is available worldwide beginning today. For more information, visit http://www.lovetropolis.com/, email Shandale Tucker, Executive Vice President of Operations, at s.tucker@lovetropolis.com, or call The Lombard Company, Inc. at 800-760-6011. Lovetropolis.com, love’s premier hot spot, is a new, upscale dating agency designed to make certain that members enjoy a VIP experience in a dynamic, well-appointed environment. Lovetropolis.com caters to singles who are savvy and embrace the idea that everyone deserves to find love. Lovetropolis.com is one of the major online dating sites, according to Online Dating Magazine and is “The Next Great Dating Service ” according to ALoveLinksPlus.Lovetropolis.com modernizes the online dating experience by providing a fusion of exceptional features that assist members in making a lasting match. Lovetropolis.com already has members from 23 countries worldwide. The energy and atmosphere of Lovetropolis.com is vibrant and unrivaled, setting an ideal mood for matchmaking and social connectivity. Singles subscribing to Lovetropolis.com will enjoy their leisure social time, affordably fulfill their recreational and romantic needs, and appreciate the indulgent customer service afforded them each time they log in. See why we are the premier online dating site at http://www.lovetropolis.com. In the wake of a successful collaboration with Microsoft Germany, bigmouthmedia, Europe’s largest independent digital marketing agency, plan to extend the 2B-Found Project by offering a range of SEO tools to the software giant’s sales network. Providing a range of services to the manufacturer and its partners, the new framework will afford access to a set of analysis and optimisation modules designed to help members fine tune their websites for search engines. “Having worked with Microsoft for the last 18 months, we have developed a very strong relationship with them. It is the next logical step to extend our collaboration. We are very excited to be working more closely with Microsoft and look forward to developing 2B-Found further. For their part, Microsoft are pleased with the results and to have the recommendation of such a major software player is a fantastic endorsement,” said Lyndsay Menzies, Chief Operations Officer at bigmouthmedia. The deal follows the success of bigmouthmedia’s search engine optimisation campaign promoting the Microsoft Dynamics brand across Germany. Since launching in early 2008 the team promoting the software manufacturer’s enterprise products has achieved rapid results, doubling the percentage of search engine traffic to the Dynamics site. “These results have exceeded our expectations. Bigmouthmedia has quickly and clearly increased our traffic and the visibility of our Microsoft Dynamics brand, so we have therefore decided to expand our cooperation further and make the know-how of the company’s SEO experts available to our distribution partners”, said Antje Reichelt, Audience Marketing Manager at Microsoft Dynamics. The Microsoft Dynamics brand is one of the world’s largest providers of enterprise software. Distributed through partners, its products are used by 300,000 corporate clients across the globe. “Following our collaboration, Microsoft Dynamics is now showing a significantly greater proportion of prominent placements in search engine rankings. In just a few months we have been able to reach the first places in searched terms at Google for Microsoft’s most important keywords, a ten percent increase in comparison to its competitors,” said Isabell Wagner, Managing Director of bigmouthmedia Germany. Founded in 1997, bigmouthmedia is Europe’s largest independent digital marketing agency. With a team of over 200 staff located across 13 offices in 10 countries on 3 continents, the company maximises exposure for major brands online through a variety of fully integrated digital marketing channels: Search (SEO, PPC, Online Media Planning, Affiliate marketing, Social Networking, Brand Monitoring, Online PR and Web Analytics. Bigmouthmedia also provides up to date daily digital marketing news to ensure clients are fully informed and aware of all industry developments. While not unexpected, Google’s decision to allow anyone to bid for trademarked keywords in a total of 194 countries including Saudi Arabia, South Africa and Russia is widely predicted to lead to price rises in the markets affected. However, evidence from the UK – where the policy change was first rolled out in 2008 – indicates that while bidding on some brand terms could increase by as much as 500% in the short term, the impact is unlikely to be permanent. “While dropping trademark protection didn’t send costs skyrocketing to the extent many feared in the UK, during the initial scramble to bid on competitor brand terms we saw cost-per-click (CPC) prices rise by an average of 400-500%. Those levels proved unsustainable in the long term however, and we would expect any spike in keyword prices to normalise within a matter of weeks, “said Lyndsay Menzies, Chief Operations Officer at bigmouthmedia. Bringing the new territories into line with its North American and UK businesses, Google will now allow open keyword bidding on all terms in 194 countries worldwide. This means it is now possible for more than one advertiser to appear in the list of sponsored links that appears after a user has typed in a search query using a trademarked term. Experience from the UK indicates that successful legal challenges to the rule changes seem unlikely, although commentators will note that Google has yet to relax restrictions in France, Italy or Germany, where copyright laws are particularly robust. While bad news for major brands, the move is likely to be good news for smaller competitors looking to close the gap. The announcement is also likely to have a profound effect on all affiliate partners, with the ability to bid on competitor keywords greatly increasing the scope and range of their operations. “While brands might be tempted to bid on competitor keywords in the newly opened markets, Google’s rules mean that while they are allowed to bid on brand terms they can’t use them in their advert copy, something that frequently results in a low quality score and a high average CPC. They are also likely to experience poor conversion rates, because the fact of the matter is that if a customer searches for a particular brand name, that’s the one they’re interesting in buying,” said Robin Richmond, bigmouthmedia’s Head of Pay Per Click (PPC). Founded in 1997, bigmouthmedia is Europe’s largest independent digital marketing agency. With a team of over 200 staff across 12 offices in 10 countries, the company maximises exposure for major brands online through a variety of fully integrated digital marketing channels: PPC and search engine optimisation, Online Media Planning, Affiliate Marketing, Social Networking, Brand Monitoring, Online PR and Web Analytics. Bigmouthmedia also provides up to date daily digital marketing news to ensure clients are fully informed and aware of all industry developments. Leading the digital marketing strategies of a third of the UK’s most trusted brands, bigmouthmedia services over 300 big-brand customers globally including: Hilton, British Airways, Tesco, Air Berlin, Barclays, Sky, British Telecom and Wall Street Institute. Widely regarded as the definitive guide to Britain’s digital marketing landscape, the NMA league table is ranked on income, with bigmouthmedia’s range of big brand client wins, cross-channel expertise and experienced management team cited as being key to the company’s industry-leading status. “Like every industry the search sector has faced a lot of challenges recently, but despite difficult economic circumstances the blend of effectiveness and measurable ROI that online marketing provides is still proving a winning combination,” said Lyndsay Menzies, bigmouthmedia’s Group Chief Operations Officer. Citing the latest available research, the guide’s editors expect to see further growth in the year ahead. According to the recently published 2009 UK Search Engine Marketing Benchmark Report, half of Britain’s senior marketers are set to increase their online budgets over the next 12 months. The 2009 guide pointed to bigmouthmedia’s retention of British Airways’ combined PPC and SEO campaign – together with winning both the Sky and Europcar accounts – as the highlights of another successful year for the UK business. Editors also noted the launch of the agency’s Online PR division and a raft of high profile executive appointments. Trackthisnow.com is a unique website that tracks news articles on any topic across the world in real time. The service at the moment tracks 236 countries world wide and presents it on a view of the world map. Using the service is simple. You can enter a keyword and trackthisnow.com will track a graphical representation of where news stories on your chosen topic are appearing, overlayed onto a world map. You can then click on the countries on the map to see the news from them. Tracking happensat the click of a button without the need for the user to login or go through any other formalities and delays. “The novelty of this site is the topic specific global search that it launches with instant results, rendered in a crisp format for a quick and easy view.” Says Gauri Narayan, Co-Founder of trackthisnow.com. Right now, the service tracks news in every country in the world but plans are on to enable tracking at the city level as well. The site uses web 2.0 to find news from different countries and uses Google Maps for plotting the coverage. The software is currently tracking in access of over …? ?……… publications across 236 countries. This number is expected to rise in the next development phase of the website in December 2008. The service www.PressReleaseBureau.com is targeted toward small and middle size business and is intended for delivering news releases straight from the customers to reader most interested in getting its content. The service offers both free-of-charge and paid options. The service delivers news release to journalists most interested in getting the latest news, spread it through a number of news sites and specialized websites. The service website is good SEO optimized and has simple and easily understood structure. Customer news will be indexed in a short term by popular search engines like Google, Yahoo, Ask and others. www.PressReleaseBureau.com improves informational visibility in the Internet. The www.PressReleaseBureau.com offers the options to delivery news with a popular RSS 2.0 feed technology which provides targeted readers with posted news in a timely and easy fashion. With RSS 2.0 technology many websites publish press release at their pages that gives advantage of a higher rank of the news in search engines. Editorial team on daily basis manually verifies and checks every submitted press release to deny poorly written or bad formatted news, bulletins or releases as well as preventing spam publication. www.PressReleaseBureau.com works to bring high-class crafted news to our readers. Development team makes efforts to increase the visibility of the news releases in the Internet and to attract new customers to www.PressReleaseBureau.com news delivery service. The team constantly improves the quality of the service to match your highest expectations.